Advancing technology and lower costs have some Seattle-area companies looking to 3D printing for faster, cheaper product tweaks and for full-fledged manufacturing as well. Oliver Brossman struggled for years to find soccer shoes that fit properly and let him run after painful knee injuries. After a futile search, he decided to create his own. 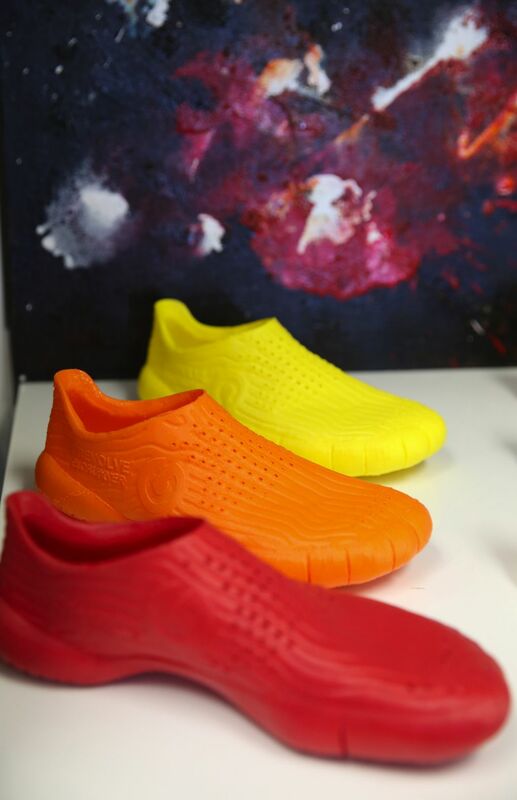 In hopes of making a better shoe, he turned to 3D printing to create custom-fit running shoes. He founded Prevolve, despite no coding knowledge or background in 3D printing. Three years of prototyping and testing later, the company just launched its first product, BioRunners, a high-end personalized running shoe designed to be better for your body. In the Prevolve office, customers’ feet are scanned, colors are picked, shoes are ordered — and then the footwear is made right there in the room. Four machines line a wall, printing layer upon layer of filaments until a flexible-plastic shoe is created in 24 to 48 hours. The Ballard-based startup joins an increasingly wide range of companies turning to 3D printing as a manufacturing or prototyping technique. The technology allows designers to make easy-to-change products in small quantities, lowering the risk. It’s also become a standard production technique for some sophisticated parts; GE uses 3D printing — also called additive manufacturing — to produce complex ceramic pieces for engines of Boeing’s 777. 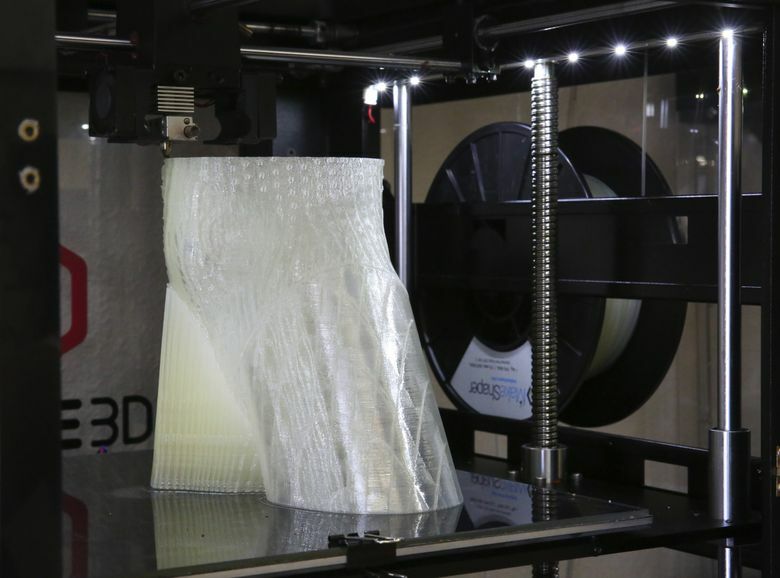 Locally, businesses are using various levels of 3D printing technology to create or prototype a variety of products including football helmets, virtual-reality headsets, gear for “cosplay” fantasy role-playing and architectural models. Until recently this type of technology may have seemed futuristic, but it has been around since the 1980s, with gradual improvements. Many industry leaders now argue that the technology is reaching the tipping point where it can be applied on a wide scale in a variety of manufacturing uses. Both high-level commercial machines and in-home printers are becoming faster and more capable. 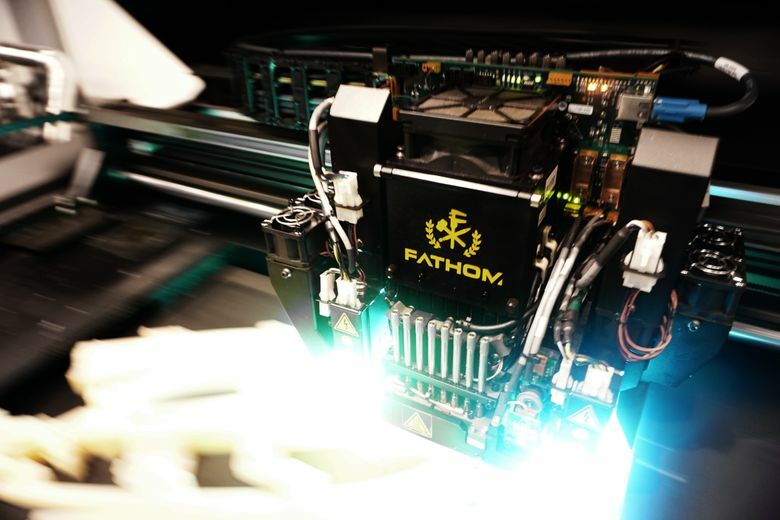 Dylan Oliver, Seattle general manager for Fathom, which offers 3D printing services and sells 3D printers in the San Francisco Bay Area and Seattle, said both the types of materials and the capabilities of these machines have expanded over the last five years. For example, there is now a desktop 3D printer that can print in metal. Oliver said there are a huge number of applications for 3D printers for companies of all sizes. For smaller enterprises, he said, printers can also lower the barrier to entry. The printers are most commonly used in the front end of manufacturing in areas like product design. “It’s not the end-all, be-all, but it’s a very powerful tool,” Oliver said. 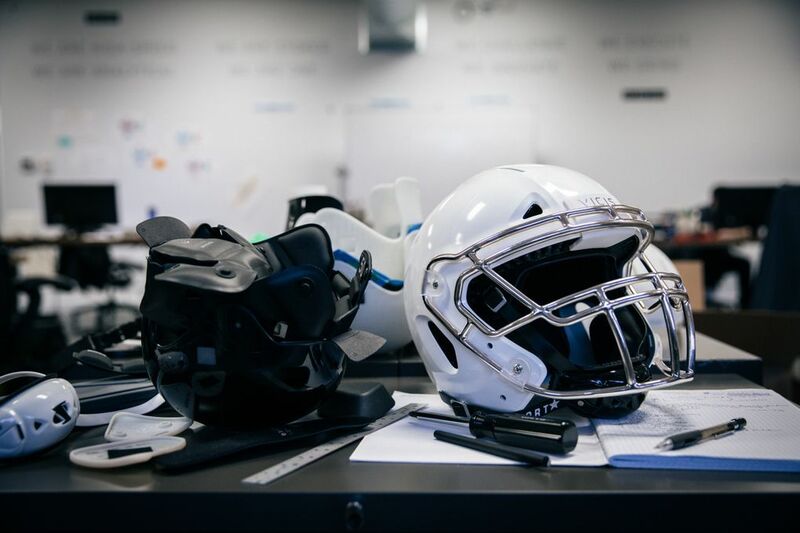 Vicis, a sports tech company that is developing a new type of football helmet designed to be safer, has used 3-D printing to help prototype its product, the Zero-1. CEO Dave Marver said the technology is an important element in research and design, enabling the company to quickly change and improve the helmet. “Before the 3D printer, alterations required three weeks. Now it takes a day or two,” Marver said. Changing a single part can be done for just one helmet, then tested. In traditional manufacturing, changes would have to be sent away and an entire batch would have to be made. While Vicis doesn’t now use the technology as a large-scale manufacturing tool, it’s something the company will consider if the speed and price begin to make sense, he said. 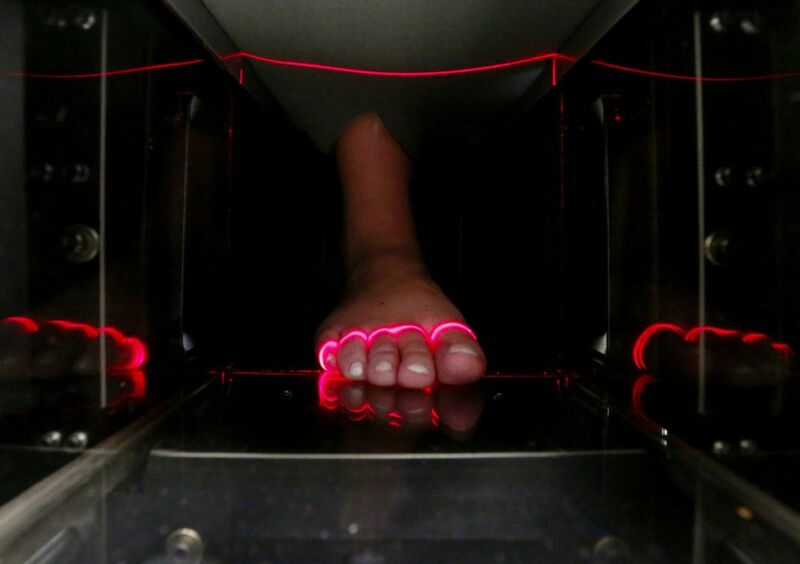 At Prevolve, the technology allows for each individual shoe to be custom made, based on scans of the customer’s feet. The shoe is designed to mimic a barefoot run, with sole systems, customized arch support and toe joints based on the customer’s toes. No two shoes are alike. While most shoe companies take years to launch a new shoe, printing means faster updates, and constant changes to the design are possible. Oliver’s motto is “never stop moving,” and he’s always looking to upgrade the shoes. “We can get a fresh prototype out there in a day or two instead of a year out,” said Justin Taylor, Prevolve designer. The custom shoes are $245, including the scan needed to model the shoes after. The technology has gained popularity as it becomes more affordable and accessible. 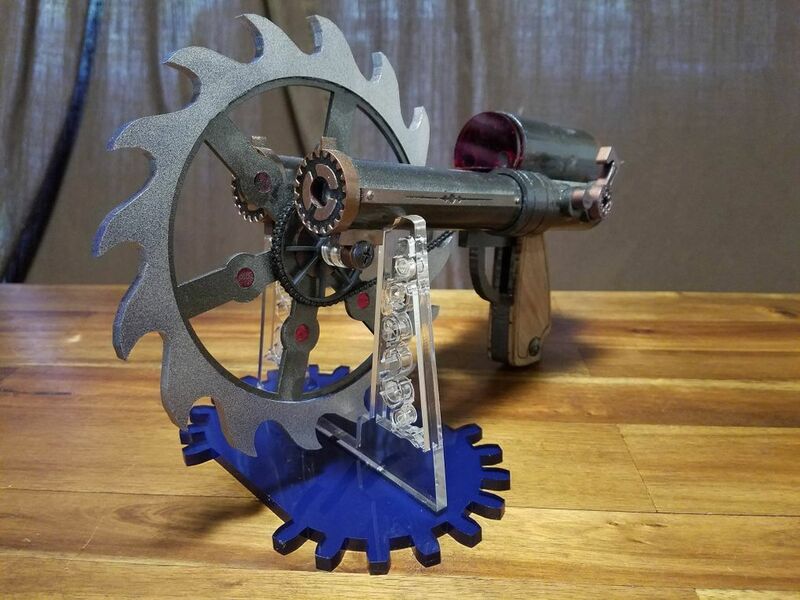 A few years ago many people were exposed to the technology through low-end models with rudimentary functions for a few hundred dollars, but now there are desktop models that give hobbyists and home businesses a genuine small-scale manufacturing tool. 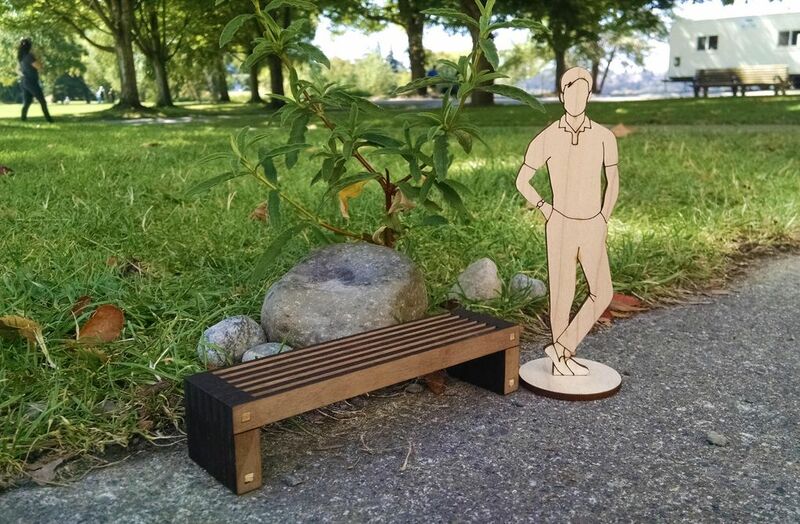 In 2015, Glowforge, a Seattle startup that makes a 3D laser-cutting tool for home use, raised $27.9 million in a month in a hugely successful Kickstarter campaign. The device, which began shipping to those early backers this summer after extended manufacturing delays, uses lasers to cut or engrave objects, rather than adding material. Dan Shapiro, the Glowforge inventor, says it’s simple enough for children to make a necklace, but can also be used to create highly complex designs. Kallisti Kilmer has designed props and cosplay items for years for friends, but the Glowforge and a background in tech, design and manufacturing enabled her to turn that into a business, SlackRatchet Designs. Her designs range from weapons like guns and crossbows to props like plague masks and alchemy boxes. Because they print from a computer program, duplicating and altering the designs is much easier. What would have previously taken her about 150 hours to make now prints in less than an hour, she says, and not including drying time can be completed in less than three hours of work. Ryan Lambert and Mary Ellen Russell, the principals of Russell Lambert Landscape Architecture, have a beta version of the Glowforge. They originally became interested in the Glowforge with the idea of translating their 3D model sketches for architecture into printed models. While they don’t currently use it in their business, they have been experimenting with the models and making home crafts. She said the Glowforge and 3D printing in general open up options for small businesses. This story has been updated to correct the description of Fathom.